First things first…you can’t and won’t see it all, no matter how many days your trip is. You can, however, maximize your vacation time with less stress by getting professional FREE planning help. That’s right, the #1 thing many people don’t know is that using the services of a Disney Travel Planner is FREE. Disney, like most other suppliers in the Travel Industry, pays agencies a commission. The Guest pays the same whether they do all the work themselves or have an expert do it for them. When planning my first trip with my family I spent months…it was basically a full-time job for me, researching and planning our trip for several hours a day. I wanted it to be perfect and made it my mission to study everything I could find. Had I not been lucky enough to be a stay a home mom at the time, I would not have been able to devote that time to our vacation planning. Luckily I also had a professional background in the travel industry and had been to Disney World a few times prior. A Disney Travel Planner will get you the best deal. They are current on all the best offers and can determine which one is best suited to your family and situation. Even if you are already booked, your agent will keep up to date and switch your booking over to a new special offer when it becomes available if possible. Your agent worries about getting you the best price, not you. Your agent will spend the time on the phone lines getting you the best option so you don’t have to. A Disney Travel Planner will suggest and even book all your dining for you. Disney restaurant and special character meals can sell out fast, 6 months before your travel date! It can be daunting to even think about where you are going to eat 6 months in advance and then wrestle with the online booking system or spend hours on the phone with Disney Dining. But if you little ones have their hearts set on dinner with a certain character you’ll be out of luck if you don’t plan for it well in advance. Your Disney Planner can and will do this for you. A Disney Travel Planner will give you as much itinerary planning help as needed. Whether it be just some simple tips if you have your own plan down to planning out a detailed itinerary if you want step by step guidance. A Disney Travel Planner will recommend the best hotel option for your family. 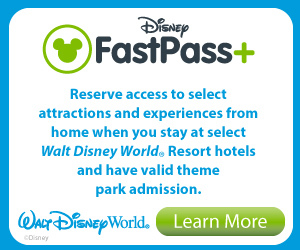 There are so many options at Disney World and a wide price range. A Disney Planner can narrow down the best options to suit you and your theme park touring style. By getting help with the planning from a travel agent that works with an Authorized Disney Vacation Planner, like me :), you’ll be sure to make the best of the time you have and come home with the most MAGICAL of memories! Stay up to date with me on Facebook or Twitter, follow this blog and be sure to contact me ( barbara@atimetotreasuretravel.com )when you are ready to head back to the House of Mouse!